Support services and solution-based provider Engineering Solutions & Products LLC (ESP) has named Gary Winkler to the ESP Advisory Board. Winkler is a former Army Program Executive Officer for Enterprise Information Systems (PEO EIS) who is also a well-known defense and information technology executive with a 30 year track record of leading edge accomplishments. 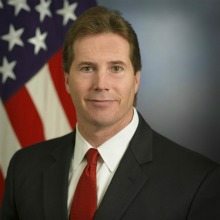 From 2003 to 2011 Winkler served in the Senior Executive Services where he served as the Army’s first Chief Knowledge Officer and Principal Deputy for Governance and Acquisition. In 2007 he was assigned as PEO EIS where he led his staff and organization to deliver new, large-scale systems supporting finance, logistics, personnel, communications infrastructure, biometrics, medical and warfighting functions. Winkler has worked across all Military Departments, DoD Agencies, the OSD staff and the Congressional Staff.